1. Both Plans Viewing And Filing Functions. 2. It Is Made With 0.7mm Steel Plate. 3. 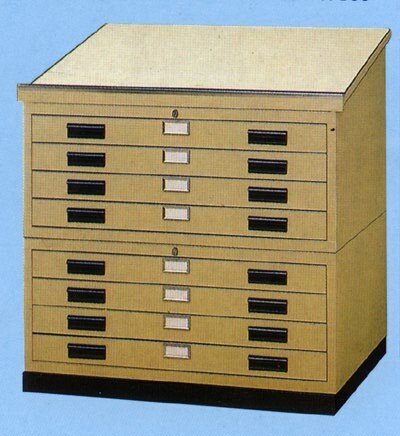 Total 8 Drawers, Each Drawer Can Be Filed 600 - 800 Pcs Of Plans. 4. Every Unit Includes a Stand And Lock.